Gripsweat - BEATLES WITH THE BEATLES MOBILE FIDELITY VINYL SEALED! 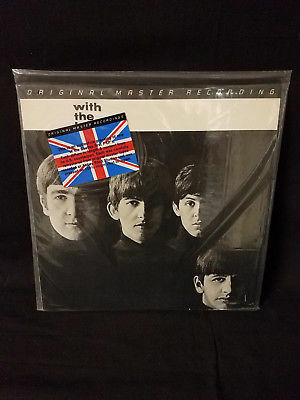 BEATLES WITH THE BEATLES MOBILE FIDELITY VINYL SEALED! Nice vintage record stored well and cared for. A terrific edition for anyone’s collection. All records shipped inside a clear plastic sleeve and mailed in a sturdy cardboard mailer.